Classroom teachers create first impressions that are welcoming and interesting with school door decorating. Holiday decorating ideas are as varied as the holidays that exist on the calendar. However, teachers do not need to limit their classroom door decorating to legal holidays. Every day or season is a holiday–with a little imagination! Decorating ideas for most legal holidays are easily created. There are a few, though, that are not quite so over-used. Here is a quick list of possible school door decorating ideas for your classroom door. 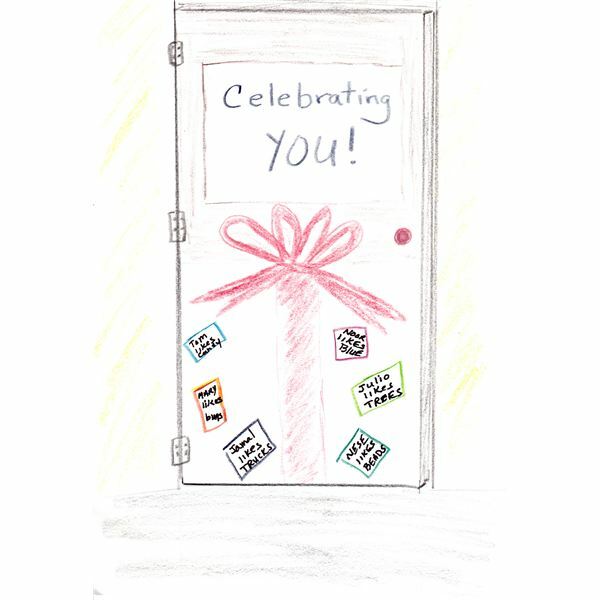 Labor Day – (September) Begin decorating by wrapping the classroom door in brown paper. Use this quote by Sophocles, Without labor, nothing prospers as the caption. Have students pick a cut-out representing various occupations to print their name on and hang on the door on the first day of school. This will open a discussion on how when we work hard, we succeed. An option for the cutout can be stars (to represent working toward our dreams) and flowers (to represent relaxation). Thanksgiving – (November) Many classroom teachers no longer decorate with "Pilgrims and Indians" out of respect for the Native Peoples. However, the message of Thanksgiving can still be presented without the usual motifs. Begin decorating by wrapping the door with brown (symbolizes the Earth) craft paper. As a caption have, Friends and Family Together. Have students create "active" pictures of their families and friends. The pictures can show them eating, playing, reading together, etc. Hang their creations on and around the door. Martin Luther King Day – (January) Wrap the classroom door in blue craft paper. Use the caption, I Have a Dream. Post a picture of Dr. King in the center of the door. Discuss with students Dr. King's speech. Have students write short statements regarding what they dream for the future. Post their statements on the door. Once students arrive in class, hand out the boxes. Ask each child to fill in one thing they like best. Once this is done, laminate the boxes, hanging them on the door. Not only does this celebrate the students, it also helps them learn something about their classmates. Note: Since this is an interactive activity, have a few extra blank boxes at hand to give out to students who might come unexpectedly to the class or who may make a mistake on their original. March, know by many as Mud Month, needs a little pick-me-up. This school door decorating idea should be just the "cup of tea" needed to get students motivated. Create a large top hat and a large pocket watch for the classroom door. Make a caption that says It Is Never Too Late to Learn! 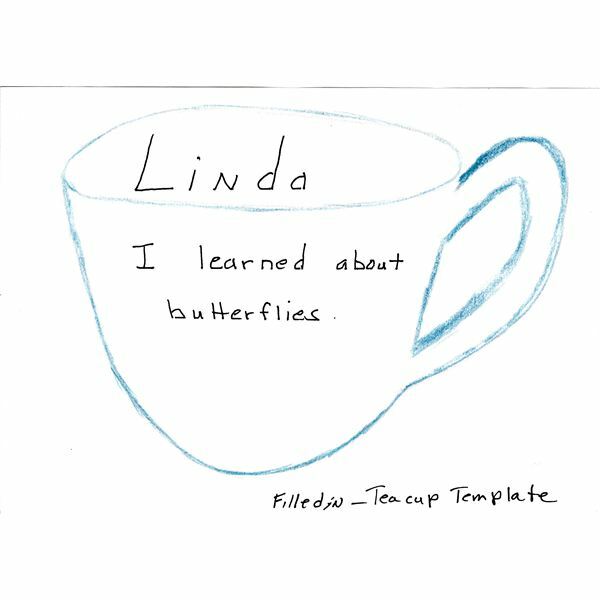 Make cutout teacups (click here for template). Write students' names in the top of the cup. Have each student write one thing that he/she has learned. Place teacups around the top hat and pocket watch. Suggestion: At the end of February, read or share the story of the Mad Hatter from Alice in Wonderland with students so that they understand the significance of the March Madness theme. This is an idea for the end of the year, which works well for middle schoolers who are going off to high school the next year. Simply wrap the door in a solid craft paper. In bright letters, place the caption Time to Say Goodbye. Hand out 5 x 8 blank index cards to the students. Ask them to write a goodbye message on one side only to their classmates and/or teachers. Back the messages with construction paper of different colors. Post the messages on the door. Not only does this allow students to communicate their feelings about graduating to the next level of their academic lives, it allows them to practice their writing skills, which is always valuable. Celebrate everyone's "unbirthday" (Another Alice in Wonderland theme) with a large cake decorated with the student's names or pictures. The caption would be, "Happy Un-Birthday, Everyone!" Celebrate winter with snowflakes that each child makes. (This is another alternative to the traditional Christmas themes.) The caption can be We Are All Different…Yet the Same. Celebrate May with a garden of books. Wrap the door in blue craft paper. Have students create and cut out flowers, a birdhouse, birds and butterflies on which they write the name of their favorite book. If possible, laminate them to prevent tearing. The caption can be With Knowledge We Bloom. TIPS: Here are a few basics when decorating classroom doors to keep in mind. Use bright colors that will grab students' attention. Wrap the door with large craft paper, taping along the edge of the door. This makes it easier to stick items on the door. In addition, it will not leave glue behind. To keep elements to use again, laminate them. Keep text large enough that it can be read at least 10 feet away. Finally, remember school door decorating should be fun for everyone. Some of the ideas came from the author's own experience.